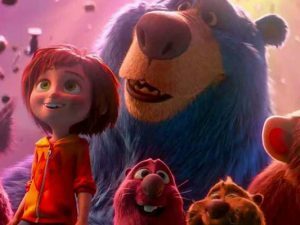 There are lots of movies heading your way this month, including some new home entertainment releases (just in case the turn in weather has kept you indoors). There’s something for almost everybody, so let’s take a look at the contenders. Director and co-scripter Desiree Akhavan brings Emily M. Danforth’s seminal novel to life onscreen. It’s 1993 and Chloë Grace Moretz plays Cameron, a teenager who is in love with another girl but who has to hide this from the world. 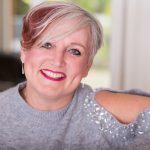 After getting found out, she is shipped off to a gay conversion therapy centre and banded together with other students who are trying to be ‘cured’. There’s a lot of heart in this story, with Moretz handing in a delicately powerful performance. The odd characters at the camp are all entertaining (especially John Gallagher Jr.as Reverend Rick and Emily Skeggs as Erin) and the screenplay co scripted by Akhavan and Cecilia Frugiuele sparks with energy and verve. 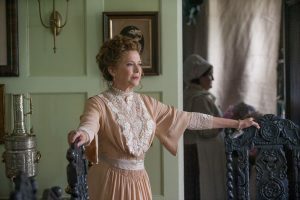 A compelling tale of unrequited love and hope, The Seagull is an adaptation of Anton Chekhov’s absorbing play. 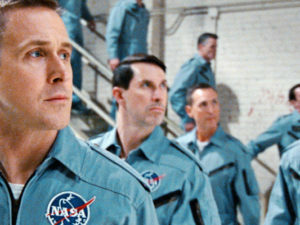 Director Michael Mayer has populated his adaptation with some of the finest character-actors working today. An aging actress named Irina (Annette Bening) visits her ailing brother Pjotr (Brian Dennehy) at their summer home. Her companion Trigorin (Corey Stoll), a successful novelist, observes the dynamic and rustles up a love interest with a local girl named Nina (Saoirse Ronan), who in turn, has bewitched Irina’s son Konstantin (Billy Howle), who is a tortured soul looking for validation. The twists and turns of this love struck tale are plentiful, with every story peppered with sadness and strife. A fine watch for a Sunday afternoon. Disney bring Winnie the Pooh and his friends to vivid life thanks to some remarkably effective CGI. 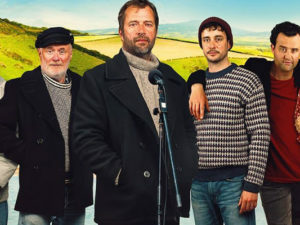 But surprisingly, it’s the narrative that falters in a family film that has undoubted charm, but has a crisis of identity in how best to portray its uneven story. 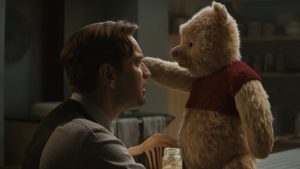 The adult version of Christopher Robin (Ewan McGregor), now a work-obsessed soul who has lost the magic of life has a surprise encounter with Winnie the Pooh (voiced brilliantly by Jim Cummings) who magically appears in London. He reluctantly returns to his former childhood home to return Pooh to the Hundred Acre Wood and help him find his missing friends – and in the process learns some valuable life lessons whilst reconnecting with his past. Perhaps a sequel can be allowed to have a little bit more fun, rather than be weighed down with so much emotional baggage. The dream-team of Mila Kunis and Kate McKinnon try hard to transcend a muddled script in this action-adventure that starts off far brighter than it ends. The story is relatively simple with Kunis playing Audrey, a store clerk who has just suffered a bad breakup with her ex Drew (Justin Theroux). Helped through her break-up by her best friend Morgan (McKinnon) the two women find themselves caught into a cat-and-mouse chase as Drew is revealed to be an international spy – and he’s entrusted something very precious to Audrey, who now holds the keys to the world’s safety in her unwitting hands. Some mild entertainment, but it doesn’t leave a mark. 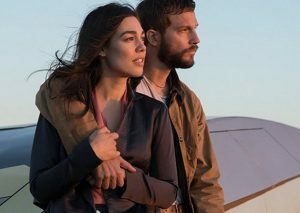 A cult sci-fi gem that punches way above its weight, Upgrade stars Logan Marshall-Green (remember him – he was Ryan’s bad brother in The OC), and is probably the movie that will transform him into a household name. It’s the near-future and Grey Trace (Marshall-Green) is a car mechanic who’s quite happy being an analogue guy in a digital world. His latest gig is a classic car restoration job for a reclusive billionaire tech-god. After a tragedy befalls him, Grey is given an opportunity to use ground-breaking tech within his body to ‘upgrade’ him and go about exacting revenge on those responsible for his predicament. Like Anon a few months ago, this is a film that is full of believable tech and writer-director Leigh Whannell (Saw) has a keen eye for a stylish shot. An action-packed and inventive genre piece that deserves a big audience. This latest Spike Lee ‘joint’ is certainly the best he has delivered for some time, telling the remarkable true story of Ron Stallworth. Played to perfection by John David Washington (who incidentally is Denzel’s son), Ron is a Black police officer in Colorado in 1979 who manages to infiltrate the Ku Klux Klan thanks to a duality-deception sting operation with fellow officer Flip Zimmerman (Adam Driver). Ron is the voice and Flip is the face of this undercover unit as they bring down the heinous local Klan terrorists, fronted by David Duke (a scene-stealing Topher Grace). It’s such an unbelievable story, proving that fact is far more disturbing than fiction. With a streak of dark comedy and a fantastic ensemble, this is a timely and grave reminder of where we are as a society today. Glenn Close and Jonathan Pryce hand in a masterclass of acting in director Björn Runge’s deeply compelling film, based on Meg Wolitzer’s acclaimed novel. Pryce plays Joe Castleman, a lauded author who is about to receive the Nobel Prize for Literature. Accompanying him on his journey to Stockholm to accept the award, his wife Joan (Close) takes stock of her life and the role she has played in her husband’s success, as tensions and secrets bubble to the surface. Glenn Close is simply sensational here and deserves awards-season recognition for her fearless portrayal of a woman stifled by her husband’s ego and her own sense of duty to her family. The drama is palpable and the supporting cast are superb, with strong turns from Max Irons, Christian Slater, Annie Starke and Harry Lloyd.